Uncle Henry’s proves to be the upper crust! A family-run farm shop has taken a slice of the action at this year’s British Pie Awards. All three entries from Uncle Henry’s at this year’s awards, held in the home of the pie Melton Mowbray, achieved a winning place. Their Steak & Ale Pie, which won Bronze last year, was placed in the top three of its category, and has been awarded a Gold and Highly Commended certification. The other two pies entered by the Grayingham-based farm shop were their Chicken & Ham, which also received a Gold, and their Lamb & Mint Pie, which secured Silver, narrowly missing out on a Gold by just one point. Linda North, production chef at Uncle Henry’s said: “We are delighted that our hard work, skill and passion for creating delicious pies has been recognised at these prestigious awards. New products are always being developed at Uncle Henry’s and customers are keen to try the new products. Linda said: “We have just launched our own homemade pork pie at Uncle Henry’s which has had great feedback from customers. Uncle Henry’s pies are available to purchase in the farm shop and can also be enjoyed in the cafe as part of their daily specials. Linda produces a wide selection of pie varieties, including Steak & Kidney and a seasonal Game Pie. Uncle Henry’s opened in September 2006 and is part of a family farming business managed by Emma Blandford, daughter of the owners Steve and Meryl Ward. Emma is the fifth generation to live and work at the mixed arable and livestock farm, where high welfare pig production and environmental stewardship are important parts of the farming business. 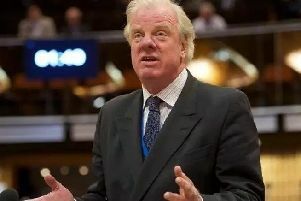 Brexit: Which indicative votes did Sir Edward Leigh support? In their farm shop and cafe, they offer customers a real farm to fork experience.